An Honours Civil Engineer, with vast experience in the civil, infrastructure, mining, and the piling and foundation industries since 1985. 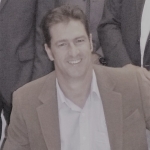 Brett joined Pilequip as General Manager in 2002, becoming a Director and 50% share-holder in 2006, and 100% owner and Managing Director in 2012. More recently, Dieseko BV (The Netherlands) have become a major shareholder of 65%. Brett specialises in all facets of piling and foundations, providing informed support services from professional advice regarding methodology and techniques, through to equipment selection and optimising performance. Brett is committed to assisting our customers achieve the best possible outcomes for their projects. Brett is an avid triathlete in his spare time training & competing in Ironman events. With more than 25 years of geotechnical contracting experience in the piling and ground improvement industry, Marcel has worked across three continents and held roles from Operations Manager in Dubai, to Divisional Director of East Africa, and here in Australia roles have include Business Development, Regional, State and General Management portfolios in both Perth and Brisbane. He is innovative and strategic applying these abilities to solving company, client and major project challenges, while coaching and inspiring his teams to exceed delivery expectations for themselves, clients and shareholders. Marcel holds a number of qualifications including but not limited to a BSc Civil Engineering, Coastal Engineering Management, Project Management, Contract Law, Quality Assurance, IR and Business Finance. 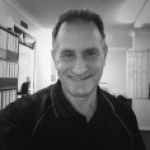 With a Structural Engineering degree, and more than 30 years experience in the construction industry from civil through to building projects, and with experience in government and private sectors, Elio has worked through from site engineer to being GM of a construction company. At Pilequip, Elio oversees all operational aspects of the business as well as providing equipment sales and rentals support. Elio is a dedicated “Trekkie” and a follower of all things Sci-Fi. 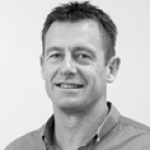 Rob has a Masters of Engineering, and bachelor’s degree in Mechanical and Mechatronic Engineering, and has worked in the piling industry since 2006. He has been involved in all stages of piling from design, site supervision, and project managing of major infrastructure and mine site piling projects. Rob has also been involved in the design, manufacture and commissioning of specialists pieces of piling machinery, and has experience in most pile types including sheet piling, driven piling, CFA piling, and bored piling. As a result he is competent with the operational, and site requirements for all machinery required for these undertakings. Rob enjoys working to a high quality standard. In his spare time he enjoys smoking meats, and relaxing with his daughter and wife. 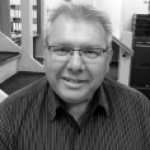 With over 30 years of Spare Parts experience in a variety of industries including road construction, mining and agriculture, Colin brings with him a solid foundation of customer service and an understanding of time critical supply of spare parts. 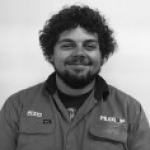 His service, understanding and willingness to help our valued customers are a great asset to Pilequip. Colin is a keen amateur photographer with a passion in photographing landscapes and people equally. 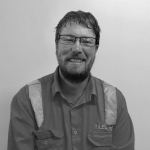 Brett has gained a thorough understanding of all our equipment and has visited several of our manufacturers for in-depth training and development of his technical skills and his also undertaking further vocational training in heavy machinery. Brett is a valued member of our service team with his high work ethic, and upbeat disposition, and has built a great rapport with the customers he has provided support and training for. Brett is a mad sports lover and is devoted dad. Josh has been with Pilequip since 2016, and is committed to helping our customers with all equipment related support and expertise. In his spare time, Josh is a keen motorbike rider and regularly plays soccer. 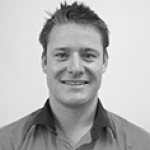 Warren is a highly qualified and highly skilled boilermaker with vast experience in many applications. Warren is an analytical thinker, able to resolve the most complex challenges. His services provide essential support to Pilequip, ensuring our equipment, and customers equipment, is adapted to meet unique project applications and site requirements. 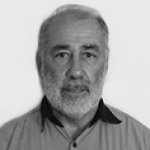 Warren is a devoted grandfather, and lover of Rugby Union, and coaches his local A grade team. 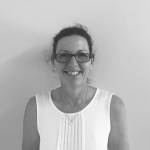 Cherie originally started with Pilequip in 2012 looking after the Spare Parts department. Since then she made a career change, went back to school, and has obtained her Certificate IV in Accounting, and her Certificate IV in Bookkeeping. Cherie previously worked in Australian Customs and had obtained a Certificate III in Government. In her spare time, Cherie loves riding horses, and being outdoors in general.